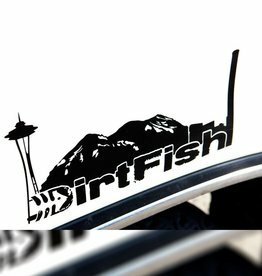 Let your vehicle sport it's DirtFish pride with our vinyl decals! Available in white, orange and black. The Space Needle, Mount Rainier, and the famous DirtFish smokestack... what more could you ask for? This decal will let the world see you coming!